A place where all is one. Where the river meets the sea. 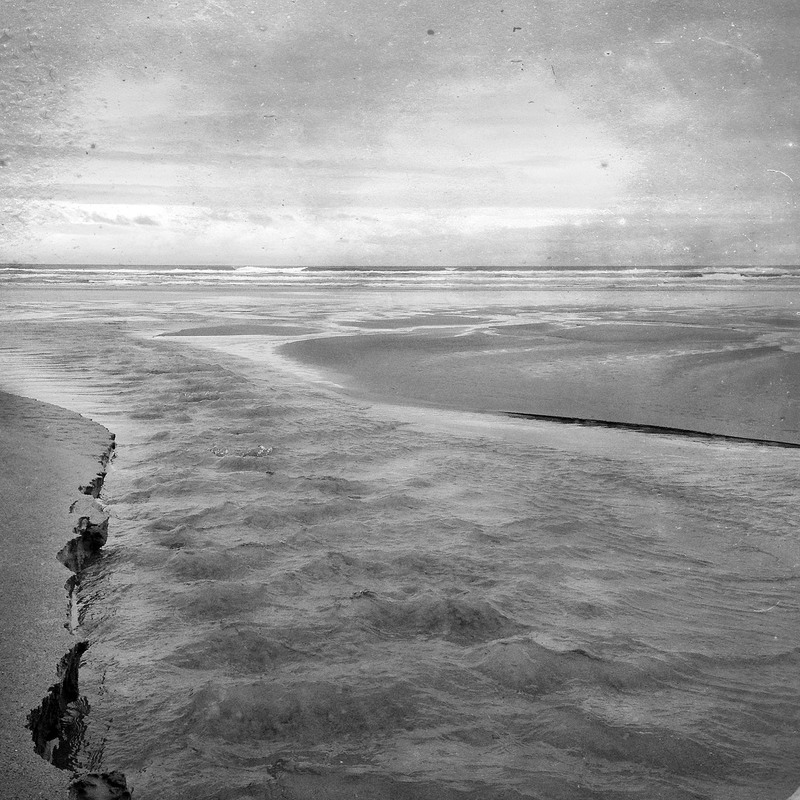 I love that this whole landscape is temporal even the sand that forms the bank of the river melts into the sea and then reforms with each ripple of water, each wave and each tidal cycle. Thanks Tammy, hope you are doing well. We have been away from a computer for a bit so sorry for the tardy response. Yup! That’s a keeper! Love the “mood” and composition of this image. Hi and thanks, it is indeed a keep and one that has meaning for me beyond the photo. Hope you are well and we have been away from a computer for a bit so sorry for the tardy response. We have been away from a computer for a bit so sorry for the tardy response. Hope your are well and thanks for the Happy Friday it was a great one. How striking, I like it lots, and well seen indeed. Nature at One with itself! Thanks Paula nature is indeed one with itself. Just wish we all realized that we are one with nature and destroying nature is destroying yourself. Cheers. Thanks Jane, We have been away from a computer for a bit so sorry for the tardy response. Hope your weekend was great. Indeed so we better get out and enjoy life and all it has to offer. Hope your weekend was great. And I forgot to say a lovely shot! I agree with your feelings about the nature of this landscape…the way everything about it changes with each movement. The sand and waves affect each other and make patterns that combine in an image that is individual and will never be repeated in exactly the same way. Taking a photograph of such a landscape preserves that individual image forever. Hi jane, We have been away from a computer for a bit so sorry for the tardy response. It is always great to find a sight or picture that is out there that really makes you realize how the whole world really works. Hope your weekend was great. Have you seen where the Columbia meets the Pacific? It gets rather treacherous. HI Jim I have in Astoria, OR. and that is a big river meeting a big ocean indeed. Thanks and hope your weekend is going well.